Site tuning for mobile speed. – Get under 2-second load times on shared magnetic hosting with free plugins and themes. Speed is part of your website body language. First impressions matter. A fast site is like a genuine smile and a firm handshake. It’s a warm welcome. It’s about web hospitality. Speed is the first hurdle to achieve good user experience (UX). Good UX produces better SEO. we surgically remove your slowest plugins. Switched hosting from $30-per-month managed hosting to $9-per-month shared hosting. Saved $252 every future year. Substituted a free alternative for the paid plugin Sumo Me. $519 for each-and-every successive year – saved profits. ROI: The Tool Merchants saved more in the first year than they paid for our total single-event speed service. Pareto 80/20 Plugin Assessment Report: 20 percent of plugins (red) consume 80 percent of speed resources. We present alternatives for improving your speed. First, we’ll need some info from you. 1a. What’s your performance optimization goal? Subsecond extreme optimization for remote mobile users? It’s those 2 choices. Pick one. 1b. What’s the nature of your site traffic? Is it 60- to 80-percent mobile devices? Or is it 90-percent desktop viewers? 1c. Tell us your highest trafficked pages. Give us your Top-10 URLs and percentage of total traffic. We focus on these pages – though site improvements are often global (site-wide). 2. We’ll analyze your site and submit a report with speed recommendations. 3. With your approval, we install the reported optimization plan. We do it for you. The project is usually done in days or weeks depending upon our workload and complexity. But project expiration is 30 days. 4. After completion, we provide a PDF report. It summarizes before-and-after results, with descriptions of what we did and why. Our complete site tuneup is $500. PayPal is a secure SSL-encrypted payment. A $500 deposit via PayPal is required before beginning. ($250 is refundable if we fail to achieve a 2-second load time). Some slow websites are unfixable. This is often due to a heavy theme coupled with a burdensome page builder on poor hosting. Or unpredictable advertising scripts. If, after our initial analysis, we discover your site is beyond speed repair, we’ll refund $250 of your deposit. We promise you won’t enjoy what we find. Why? Everyone wants to hear the truth about site speed until Steve Teare opens his mouth. Reality is painful! For $250, you get valuable speed information – even if we can’t save the day. We heal websites, we’re not bandits. Someone must pick up the tab for the time expenditure for diagnosis. There’s no speed insurance policy or guarantee for an impossible miracle cure. Most websites aren’t hopeless. But if this is your site’s diagnosis, let’s do a strategic rebuild for speed. Ready to make your site fly? Email us today. Can you work on my site while it’s live? We don’t need a staging area. We work live without site interruption. But if you have staging ability with your host – it’s great. We can also use the WP Staging plugin on most sites. Have you ever torpedoed a website? How long does the optimization take? This depends upon complexity. It’s custom work. But the project expires in 30 days. Will you need access to my site’s WordPress dashboard – or my hosting account? We don’t need Cpanel access – unless you don’t know how to switch PHP versions. Then we do. We examine and measure your site speed overhead. To do that, we need to dial back server PHP to version 5.6. 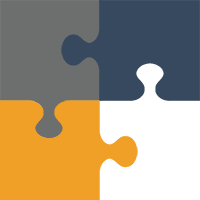 If you don’t know how to dial back PHP, we can do it for you with Cpanel access. In that case, we’ll need a URL, account name, and C-panel password. We do need administrative access to your WordPress dashboard. We recommend setting up a new administrator account name and password. Then remove it after project completion. 3-minute YouTube video about how to add a new administrator to your WordPress website. What else will you need from me after I order? Thank you for trusting us with something so important to you. We’re speed professionals. We’ll let you know if there are any site abnormalities. Do you optimize my site for both mobile and desktop performance? Will my page speed scores improve? Most likely. But … that isn’t our goal. It’s not about scores – but milliseconds of load time improvement. We also work hard to reduce page weight. This is important for mobile users especially. How are you different from WP Faster WordPress optimization services? Glad you asked. WP Faster optimization services sound great. While the market stats they quote are true for big companies – they’re irrelevant for our audience. We work with small-to-medium size International web businesses. People visiting PagePipe need a speed doctor. They know it already. We don’t have to do any convincing of speed benefits. WP Faster wants speed converts. Our audience already is made of speed evangelists. We suspect WP Faster produces similar performance results in the end … but you pay double to triple the cost. The sky’s the limit with their pricing. So the price is a big difference. But our speed philosophy is different, too. 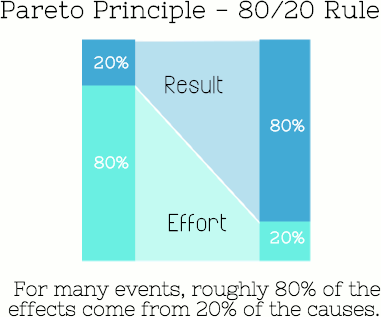 We use the Pareto principle – 80/20 rule – as our guide. This is value analysis. Or cost-benefit analysis. We discover unrealized speed improvement opportunity. Not everything is important or makes a significant difference in speed. Anything you want that isn’t the WP-Faster way voids their refund policy. They, also, specifically say they “don’t teach how to do what they do.” We teach. Our goal is technical obsolescence. We want you to understand how to fix speed yourself and avoid future problems. WP Faster won’t even talk to you on the phone unless you pay a $6,000 deposit. WP Faster requires mandatory installation of the $200 per month Cloudflare plan. They say not using Cloudflare voids their warranty. What warranty? And what host do they recommend? The speed-despised, $35-per-month SiteGround hosting! PagePipe makes your site fast on your existing shared hosting without CDN. We don’t add costs using extra affiliate services for kickbacks. We reduce your annual overhead. They repeat over and over: no refunds. With legal ferocity and verbosity. Please choose us instead for speed. Email us today. Do better UX and speed translate into improved profits? It’s documented proof for BIG companies. But will it help you? That depends. Are you selling something perceived as good? If the answer is, “No, I sell rubbish useless unwanted stuff.” Then don’t waste your time tweaking speed. But, if your offer and content are good, speed helps. Faster load times make visitors happy. No waiting. Use a CDN (content distribution network). Plugin prioritization and load order. Improve server response time (TTFB). Because scores are superficial, real speed gains are often unrealized. Speed gains don’t last because site owners aren’t taught the root causes of slow site speed. Band-aid plugin fixes are easy to do yourself (and often free). Don’t waste money. Read our breakdown of one service, and learn how to duplicate their $1,000 optimization for free. We identify selective-activation opportunities to minimize globally loading plugin effects. Are you slowing down your site with popular and paid WordPress plugins? Substitute popular WordPress plugins with low-cost, faster alternatives. Get super performance, free price tags, and no annual renewal charges (plugin rent). Using the Pareto Principle (or 80/20 rule), helps us make your site leaner and faster. This requires Plugin Surgery. Want a 100 score on Google PageSpeed Insights? WordPress themes won’t pass those silly speed tests. We’ll propose a speed strategy and then, with your approval, we’ll do it. Every site is unique. It requires a custom strategy. There’s no magic bullet, plugin, or shortcut remedy for slow sites. Many think, “If I could use a CDN, special plugin, or have better caching that’d solve my problems.” But these aren’t good enough – or long-lasting. They don’t get to the root – the origin. Over the site lifespan, temporary band-aids cost money every year. Much more than we charge for one origin optimization. Want to talk speed? Email us today.